Bitcoin or cryptocurrency is a form of unregulated currency that does not physically exist. So far there are no proper regulatory agencies to oversee and monitor the functioning of various cryptocurrencies including bitcoins. As the regulatory guidelines are continuing to unfold, it may not be possible to keep a tab of all that is happening in this area. However, like all other forms of currency and commodity trading, Bitcoin futures are also in vogue. This has been around since the end of 2017. They are now available more freely on various regulated exchanges as regulatory mechanisms fall in place. With new guidelines and regulations being unveiled, it is quite obvious that even bitcoin futures will also come under the regulatory framework. We need to understand what exactly bitcoin futures are so that we are able to invest in it based on sound knowledge and not based on hearsays and opinions. Bitcoin futures are an option that makes it possible for investors to own some attractive cryptocurrencies without investing on it directly and that too right now. Hence, it is considered a viable and regulated means to invest in something that could yield good returns over a period of time. Further, when you do careful investment in bitcoins then you will be in a position to hedge against risk caused by price fluctuations that are volatile in nature. When you get into financial futures you are basically entering into a future contract of buying of an underlying asset. A predetermined price at predetermined binds the parties and stakeholders are obligated to ensure that the terms of the contract are fulfilled upon expiration. It could be either buying or selling of the asset at the price once the contract period expires. Why Is It So Very Popular? Bitcoin futures are popular because it allows the investors to speculate on the price of the respective cryptocurrency without having to own the asset in question. There are many upcoming trading platforms such as Bakkt that offer physical delivery of the bitcoins for contracts. However, the bitcoins remain in their custody instead of the buyer having to engage in buying and selling of the cryptocurrencies in the right exchanges. To know exactly as to how bitcoin futures work on the ground, we may perhaps look at an example. Let us assume that you have planned to invest around $5,000 in some bitcoin futures. If you believe that the price of bitcoin at the end of the contracted period is likely to drop by around $1000 you could short sell the futures contract at the current price of $5000. Hence, you will be protecting yourself against a probable loss of around $1,000 when you decide to sell the same after the expiry of the futures date. However, on the other hand if you decide to hold on and if the price of the bitcoin future goes up to $6000 after the expiry period, then you tend to gain around $1000. Hence, you have the chance of making money and even cover up losses without having physically invested any money as far as these bitcoin futures are concerned. There are obviously a number of advantages in bitcoin futures. To begin with, they will be traded on exchanges that are regulated. This will make it quite easy and comfortable for those who belong to the mainstream investors’ group. There are thousands of investors who are not comfortable dealing directly with cryptocurrency investments. For such investors, there is no doubt that bitcoin future is certainly a big boon to say the least. 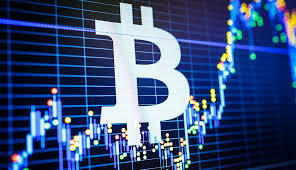 Secondly, when you are into bitcoin future trading, the contract permits you to speculate as far as the underlying price of the asset is concerned. However, the biggest advantage is that you will not be required to go through the tedious and complicated process of storing the bitcoins. This is a big and stumbling block for those who are not very sure as to how bitcoin actually works. Further, when more numbers of investors are there to invest in bitcoin through the futures route, the liquidity situation in the market will also improve quite significantly. Last but not the least, futures trading could also lead to lower volatility of the price of Bitcoin when one looks at it from the long term perspective. Institutions would also be willing to offer bitcoin futures trading because it happens within a regulated exchange and brings down the risk that is associated with the holding of bitcoins. Also be sure to check out Investopedia’s page on Future’s trading as it will definitely help you get a better understanding. What is a Bitcoin Conference? What is a Bitcoin ETF? Does it affect Cryptocurrencies?